SPFT members joined with students and community members to stand up for immigrants in our community. A member who teaches at Maxfield holds signs on an I-94 overpass before President Trump is inaugurated. 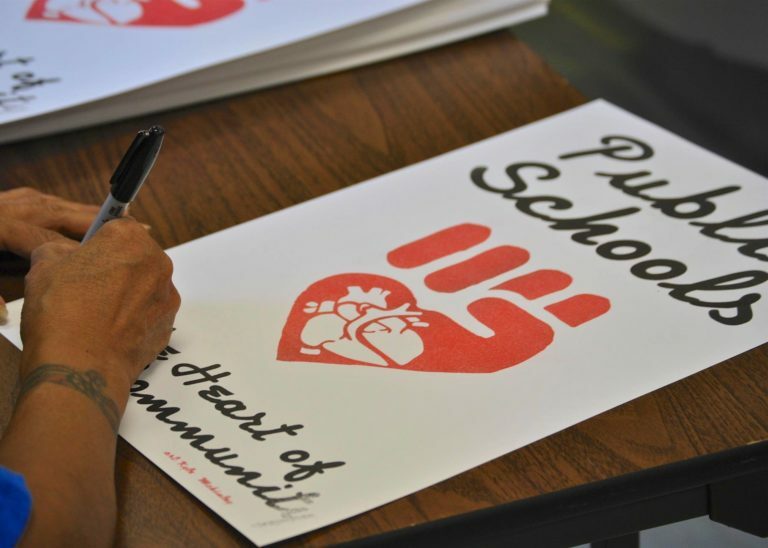 SPFT counts 3,600 School & Community Service Professionals, Educational Assistants, Teachers, and Other Licensed Staff in Saint Paul Public Schools as members. 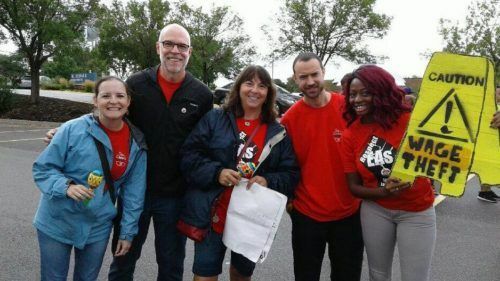 Our officers, executive board members, building stewards, organizers, and office staff are committed to defending the rights of our members and improving their working conditions. We believe that we are stronger together. 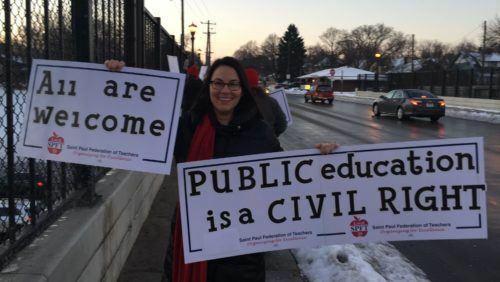 For nearly 100 years, SPFT has a tradition of initiating policies that improve our public schools using collective action. Together, we are a powerful force for justice, change, and democracy. 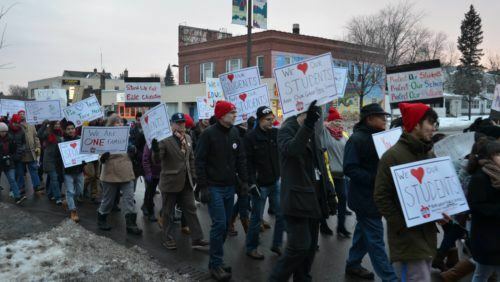 Because our students’ learning conditions are our working conditions, it is not enough to simply bargain for increased wages and better benefits. As educators, we know that our schools do not exist in a vacuum, and that we must think about the broader community. In recent years, our members have successfully advocated for smaller class sizes, more educators working with our English Learners and students enrolled in Special Education, increased opportunities for family engagement, and the use of Restorative Practices in our district. We were able to win these victories at the same time that we fought for fair compensation and benefits for our members. Together we can make sure that Saint Paul Public Schools meet the needs of all of our students and provide supportive and positive workplaces. 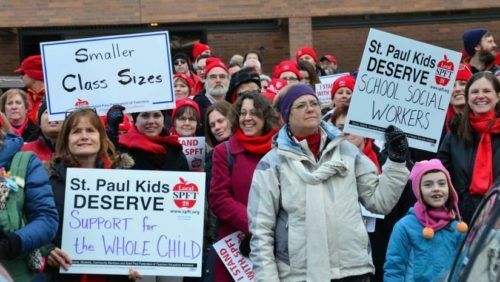 Anyone whose job is classified as being in the Teacher, Educational Assistant, or the School and Community Service Professional bargaining units is eligible to join the SPFT! To join contact Julie Hawkins at (651) 222-7303 or julie@spft.org. If you have a question about your membership, you can email membership@spft.org.